The world population of horses is about 58.5 million, according to the FAO. The world’s equine population has been dropping by about a million horses a year for the three years from 2009 to 2011, figures from the Food and Agriculture Organization (FAO) of the United Nations reveal. The trend is the same for livestock including cattle, sheep and, but pigs joined the donkey in increasing numbers worldwide, figures just released by the FAO show. In 2009, there were 60,001,310 horses listed world-wide, with a drop to 59,584,428 in 2010, and 58,472,151 logged in 2011. Hot on the heels of their fellow equidae are donkeys (43,230,790) and mules (10,457,135) – which if added together give a total of 53,687,925 animals. But far outweighing all animals is the 1.426 billion cattle in the world, followed by 1.093 billion sheep, 967 million pigs, and 924 million goats. In Europe, horse numbers dropped from 6.3 million in 2009, to 5.8 million in 2011. But in North America, horse numbers have shown an increase since 2009, when there were 10.1 million horses, jumping to 10.4 million in 2009, to sit at 10.5 in 2011. The 2011 figures for individual countries include USA (10,150,000) and Canada (405,000), where an increase of 5000 horses was made from 2010. In North America, horses are far outnumbered by cattle, with 104.8 million logged in 2011, and pigs, with 79.1 million animals in the same year. Nine countries are estimated as having more than a million horses, with the USA revealed as having the world’s largest population, at 10.150 million. China is next on 6.77 million, and the Americas have three other countries in the “top 5” – Mexico with 6.35 million horses, Brazil with 5.5 million horses, and Argentina with 3.59 million. Other countries with more than a million horses were Mongolia (2.112m), Ethiopia (2.028m), Kazakhstan (1.528m), and the Russian Federation (1.340m). New Zealand horse numbers have dropped steadily since 2009, when 65,149 horses were logged. That dropped to 64,105 in 2010, before falling further in 2011 to 56,505. Australian numbers have increased slightly, from 256,413 in 2009, to 258,000 in 2010, and 259,467 in 2011. Some up, some down: several countries show an increase in horse numbers, while others have dropped. For full statistics, see the below links. This is very interesting in light of efforts to limit horses world wide as invasive, alien species if they occur where they did not originate. This is part of the 1992 UN Convention of Biological Diversity Article 8 (h) and the 1997 UN Update on the International Plant Protection Convention to be in full force in 2005. Coincidentally, the same year Senator Reid got Senator Burns to put his amendment to legalize horse slaughter in the 2005 appropriations bill for the Senate. Horses are defined as non-native according to a political appointee with scientific credentials from Harvard obtained in the 1960’s during the Harvard education of young Al Gore. In 1997 the much older, wealthier, and cunning Al Gore created a position through which we can help him continue to support his Harvard credentialed IUCN-TNC “scientific” expert. The case against horses is that they “trample” plants and disturb the soil. They also use water and other resources wildlife or food animals can use. The information about the areas that the world agriculture association finds horses to be invasive species is found CABI’s International Invasive Species Compendium. Be sure to notice Texas where the word “eradicated” appears. That is the whole point. The non-native, invasive, alien species theories are not based on evidence, but were created in the 70’s after the 1969 graducation of young Al Gore and young Dr. Frankentheory. Interestingly, the figures for Sweden in this table are totally wrong. We have 360,000 horses in Sweden, not 96,000. Sweden is actually the most horse-dense country in EU if compared to the human population – we have around one horse per 30 people. Norwegian numbers in this table also look terribly wrong. Where can I find the reference for the numbers published in your table? The numbers for Sweden are FAO estimates only. What is the source of your figures? The numbers of horses in Norway, was in 2012 estimated to be appr. 125,000. I believe the numbers shown for Germany are completely wrong as well. 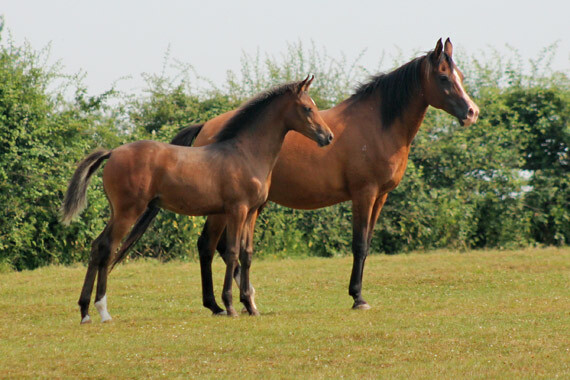 Per FN estimted number for horses and ponies in 2012 is close to 1,2 Million (http://www.pferd-aktuell.de/fn/zahlen–fakten/zahlen–fakten). In 2010 we had around 1,0 Million horses and ponies in Germany. I’d be interested to know how these different estimates were made, as that’s a pretty huge difference.